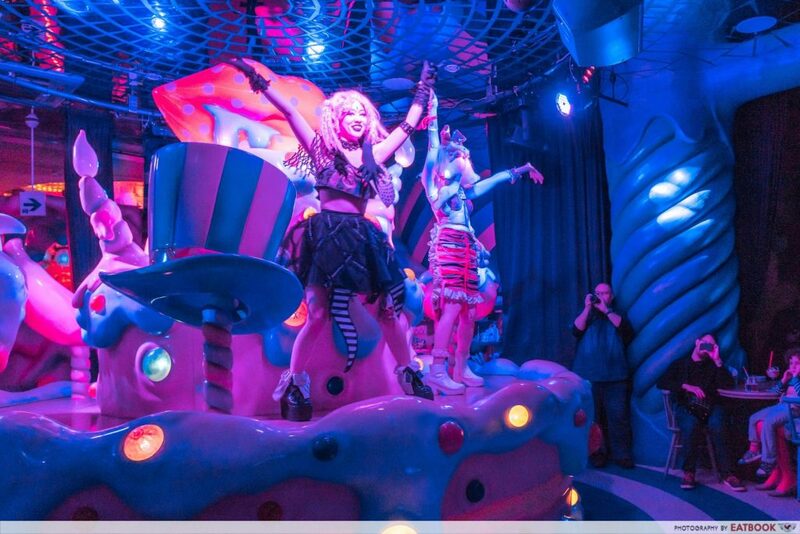 It’s not an exaggeration at all to say that Kawaii Monster Cafe is more like a club than a cafe. Found in Harajuku, Tokyo, this colourful space is physical proof of just how crazy Tokyo can be. 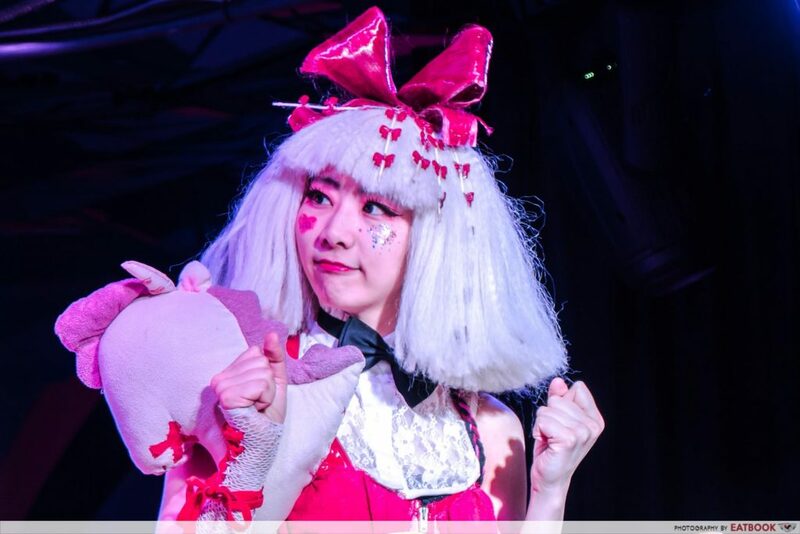 From waitresses wearing outlandish outfits to live performances happening out of nowhere, you’ll be in for a ride the moment you step foot into this wacky Narnia of Japan. There’s a 500yen (~S$6.20) entrance fee. Every customer must order at least one drink and one dish. You get a maximum of 90 minutes during lunch hours and 120 minutes during dinner hours. There are four areas in the cafe, and you can decide which area you’d like to sit at during non-peak hours. Photography is allowed, but selfie sticks are not. You’re not allowed to use other tables or seats for photos. Of course, we had to get a rainbow-something here. 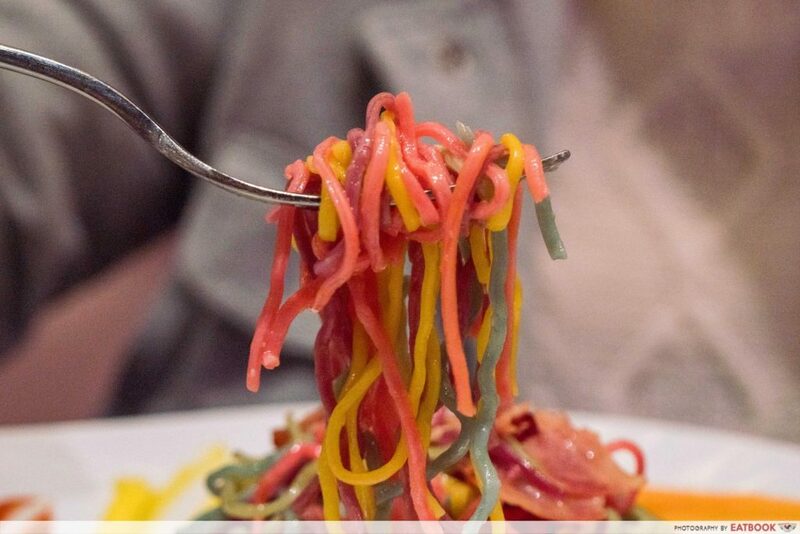 This is their Colorful Rainbow Pasta (Painter) (1,300 yen/~S$16.03). The five sauces smeared on the side each hold a flavour: Chili Tomato for the red, Garlic Mayo for the yellow, Genovese (onion sauce) for the green, Cheddar Cheese Cream for the orange, and Butter for the blue. The noodles were tossed in a savoury sauce, and when mixed with everything, tasted surprisingly decent. They were firm to the bite, and just salty enough without being overpowering on the taste buds. It was a little plain though, as all we had to go with it were some pieces of thinly sliced bacon. 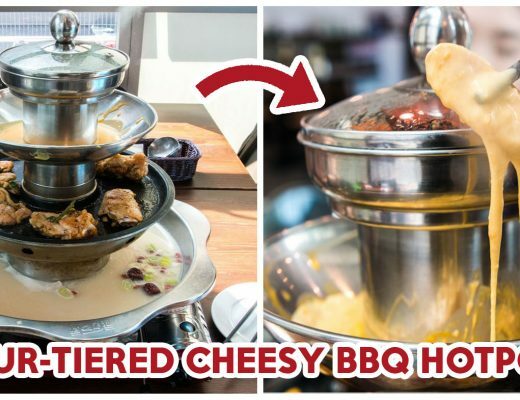 We thought desserts might fare better, but we were wrong. 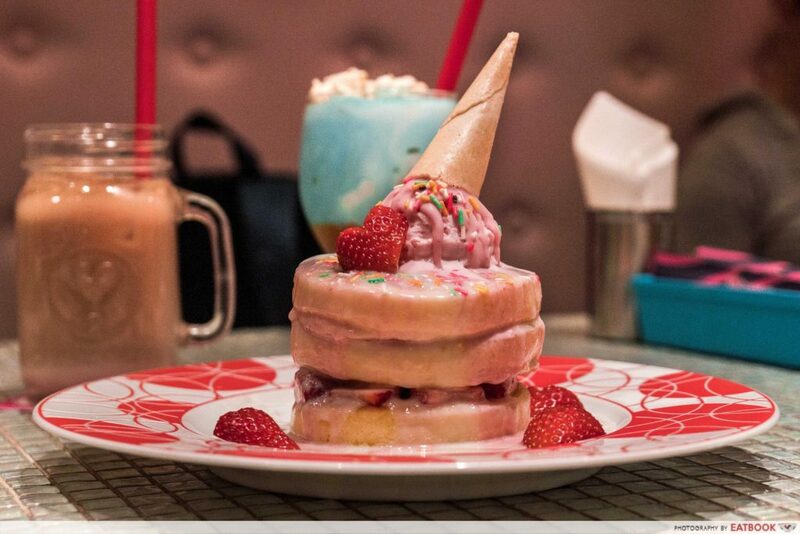 At least, this Melty Pancake (Pink Sweethearts) (1,500yen/~S$18.50) looked way better than it tasted. The pancakes were dry and cakey, and all I could taste was overwhelming sweetness. 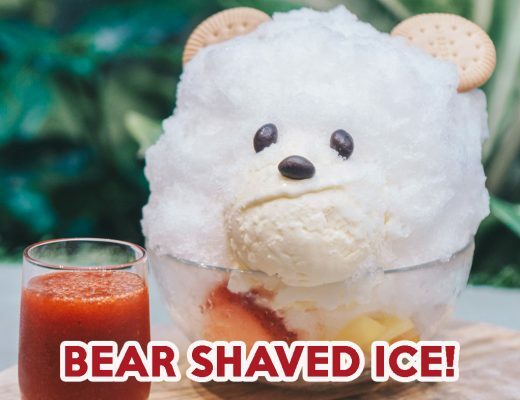 The ice-cream was coated in hardened chocolate and, along with rainbow chocolate sprinkles, contributed to one cloying dish that I would never want to eat again. 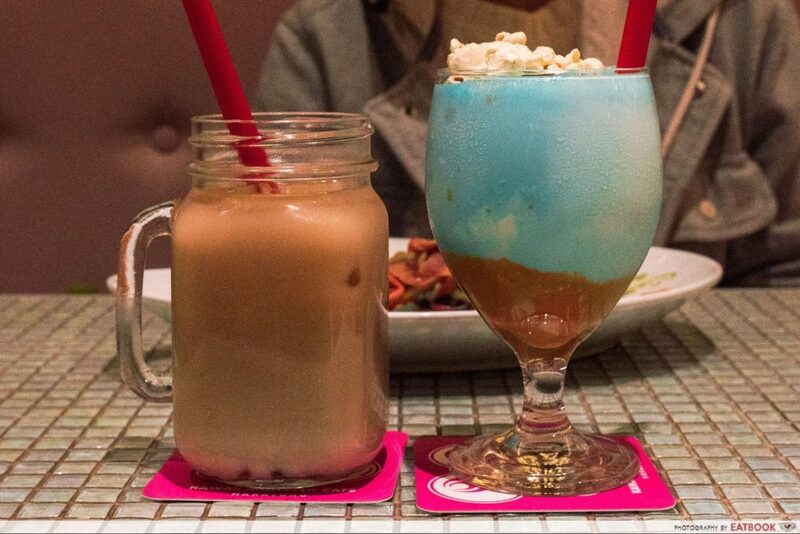 For drinks, we got a Fruity Heavenly (Eyeball) (800yen/~S$9.90) and Shake Hip Shake (Popcorn) (900yen/~S$11.10) – bad idea. The former was basically diluted Earl Grey milk tea with limp pearls. The popcorn drink, while novel, was way too sweet, and the caramel sauce at the bottom of the glass solidified soon after the drink arrived. That’s not a bad thing though, since the drink was already inducing a sugar rush. As with most, if not all, themed cafes, the ambience is the highlight. While we were in the middle of our meal, a performance suddenly started. Staff members started dancing and singing, and they also got someone from the audience to join in the performance. The loud music and upbeat staff members hyped up the whole experience, and that was what made the 500yen (~S$6.20) entrance fee worth it. Even without a performance, the interior itself was enough to impress. 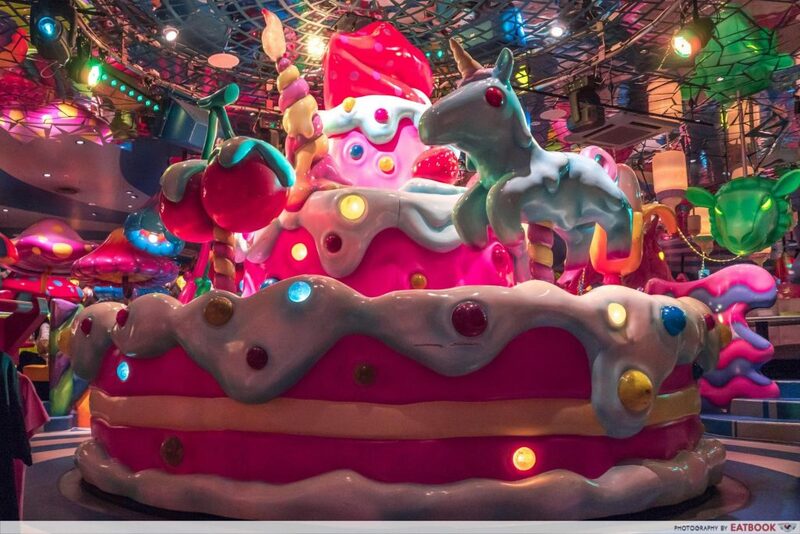 There are four themed areas, namely Mushroom Disco Area, Mel-tea Room, Milk Stand Area and Bar Experiment. Regardless of which area you choose to sit at, you’ll find that every corner is filled with an explosion of whimsical objects, from giant cherries to huge milk bottles dangling from the ceiling. The decor is so in your face that I truly felt as if I fell into a giant rabbit hole. 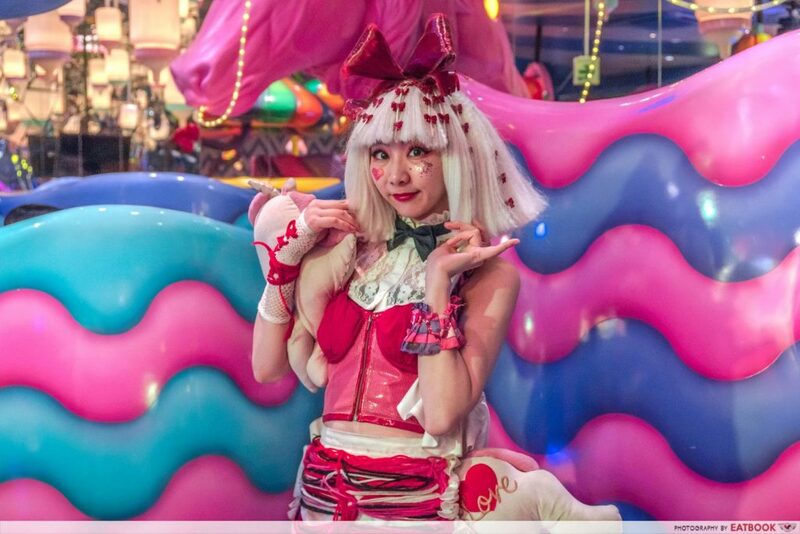 I’m unlikely to ever visit Kawaii Monster Cafe again, but the experience exceeded my expectations. It’s a brief escape from the prim and proper Tokyo city, and it’s safe to say that there’s nothing like that in Singapore. 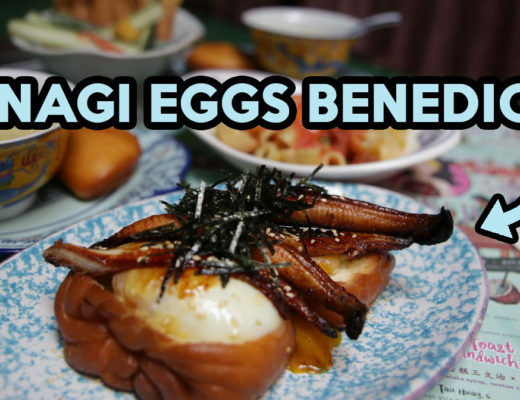 If you’ve got enough cash to spare, pop by for a feel, but don’t make this one of your must-visit food places in Tokyo. For delicious and absolutely value-for-money beef donburi in Tokyo, check our Red Rock instead! 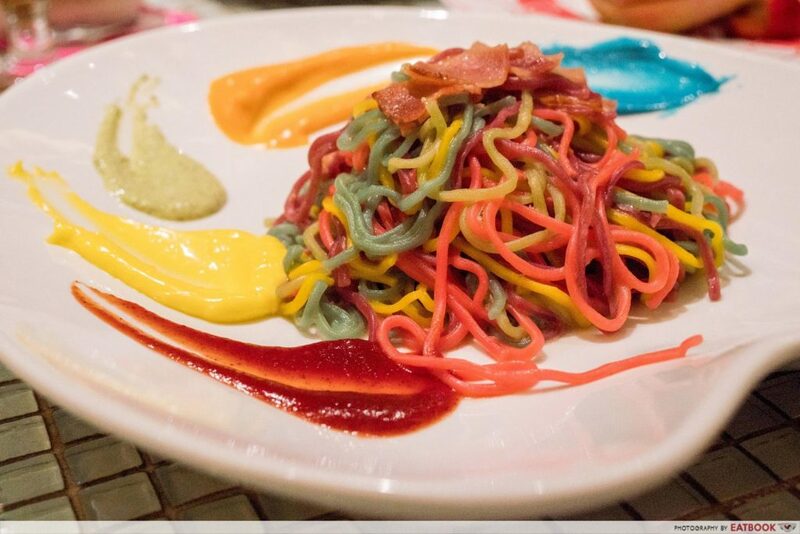 Kawaii Monster Cafe is not a halal cafe.